 The Hillsboro Chamber of Commerce School to Career program will host three Nursing Career Days during the 2015/2016 school year. The dates for the first two have been confirmed as October 6, 2015 and December 9, 2015. School to Career is currently recruiting nurses that would be interested in being presenters at one of both of the events above. Speakers will give multiple presentations to small groups of 10-12 students. Each presenter will provide a short (15 minutes) presentation about their career pathway and leave 5 minutes at the end for Q & A. • Wages-what are the realistic salary expectations? • What are related occupations this occupation would also prepare a student for? • What aspects of your occupation (in general) do you like best? Least? • Would you have done anything differently in high school that would have helped you in your current job? • What advice would you give someone planning to pursue a career in this field? • If you had the opportunity to make a career change at the present time, what would you do and why? • Any short-timed hands-on experiences are always appreciated. • Please leave a few minutes for Q & A.